The year is 1910. 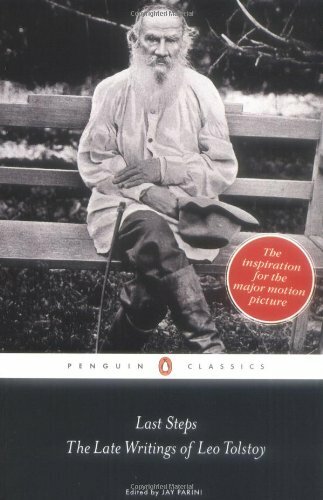 Anna Karenina and War and Peace have made Leo Tolstoy the world’s most famous author. But fame comes at a price. In this fascinating look at a tortured genius on the eve of death, Jay Parini presents Tolstoy’s autobiographical writing alongside letters from loved ones to paint a portrait of the great author’s final year. Desperate to find respite from his troubled marriage, Tolstoy ventures into the wilderness in search of isolation, only to find a battle for his soul and legacy that offers no peace. Last Steps puts a literary giant’s life and work in perspective as it bears witness to his struggle to reconcile the two.